If you haven't already heard, our Patricino Un Libro team has expanded our services to include programs for prison inmates in Mexico City. Over the past year, over 72 female inmates participated in our 6 month “Learning to Fly” program, which consists of a series of classes, workshops and personal counseling sessions. Our goal with the Learning to Fly program is to offer these desperate women hope, faith, a fresh –constructive - way to look at themselves, and a new script for their lives and for their future by hitting on topics such as self-esteem, forgiveness, conflict resolution, values, communication, assertiveness, the importance of having a life plan and more. Most of the inmates in our program are Mexican and are serving from 1-10 years. They come from poor families, most of whom abandoned them when they were incarcerated. 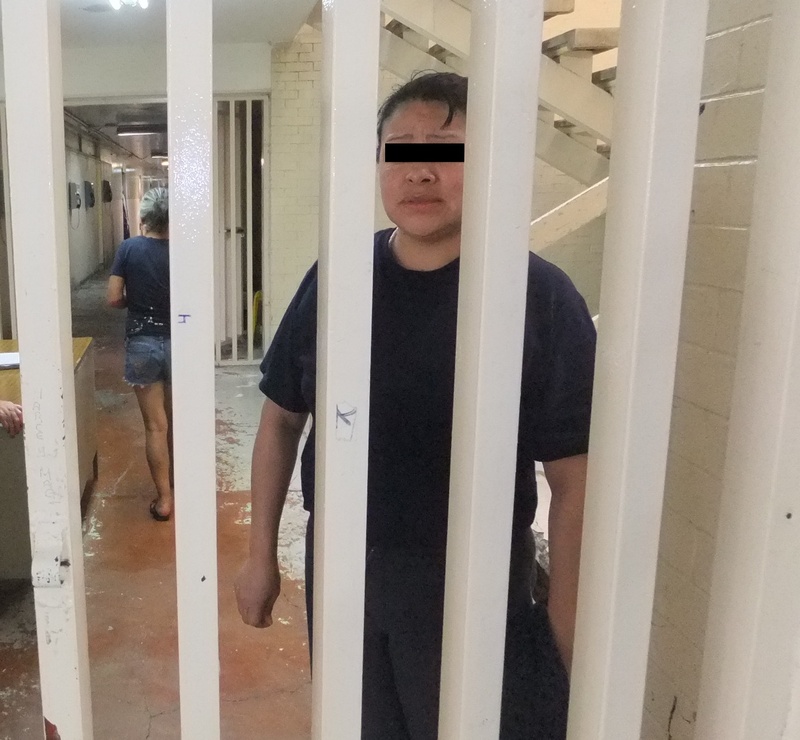 Mexican prisons are notorious for being very rough. Unless you have someone on the outside who will bring you the extras not provided by the penitentiary system such as toilet paper, extra food, drinking water, sanitary napkins, shampoo, etc., you have to find a way to pay for these yourself, ideally by finding work within the prison. Many, unfortunately, turn to stealing or in-prison prostitution to get these basic needs. Many of the women we work with have been broken by the destructive, unjust, violent and dehumanizing environment to where they no longer care about what happens to them or have any hope that their lives can be better. When looking at the needs of the inmates, we felt that the biggest need was to encourage the inmates to have dreams, bigger dreams -- to learn to fly --, to believe that they can and to trust that they will. This year, the workshops we got the best reactions from inmates were the “Life Plan and Assertive Communication” workshops. In the Life Plan workshops, we work with the inmates to help them see themselves as significant, successful, useful and important rather than small, irrelevant, useless and doomed to either defeat or to a life of little significance. We help each one to formulate, put into strong words, and publicly express goals and aspirations worth living for and fighting for. In the Assertive Communication workshop we spent time teaching them how to express themselves confidently and overcome the fear of speaking in public. In their situation, they are called to constantly communicate in hostile and threatening situations, or to appeal their case in front of judges and magistrates; they are regularly summoned to the disciplinary counsel (with the threat of being sent to solitary confinement), whether they are at fault or not, and most of them have no training in how to articulate their thoughts and feelings, freeze up and become confused in front of a public. We worked on expression and public speaking in every workshop, using each topic as a springboard to talk, and at the final workshop each woman gave a short speech on what she had learned during the program. All mentioned that they had learned how to express themselves. In the private coaching sessions we held after each workshop, the women opened and unburdened their hearts, and, with our prodding, were able to take responsibility, make agreements and commitments with themselves, with others, and with God, see their faith strengthened, and practice prayer. Although our work over the past year has not been problem free and we have had a number of struggles with government funding, red tape and mountains of paperwork imposed by the new government, etc, when we see the light that suddenly leaps into the women’s eyes after months of desperation and darkness and all the hard work and effort that each one makes to learn and change, it gives us hope that all our efforts are making a difference. It’s still an uphill fight for a lot of these women, but the good news is that more than half of the women who had taken the workshops last year came back this year to take a least a couple of topics they wanted to strengthen, or just to be with the group and keep learning. Two of them took the entire program for the second time. We are persuaded that in spite of the obstacles and difficulties we faced this year, the women learned and acquired new hope, faith, a fresh to look at themselves, and a different script for their life. They were empowered. We have committed ourselves to carry on with the program, and to expand it to the guards and personnel of the prison, who are perpetrators of untold injustices, face daunting challenges in their work, and often carry with them an unresolved baggage of personal abuse. We are VERY thankful to Activated Ministries for their support, which allowed us to directly touch and impact 72 lives, which in turn positively affected other lives around them and their families. We are looking forward to partnering again with Activated for this next phase of our program. God bless you for your vision to help organizations like ours change their corner of the world and transform lives.